Man since time immemorial has been caught up in the creative world, with each product of his thinking heartwarming part of a healthy evolutionary cycle. As designers, we have been able to advance in concepts, techniques and solutions in various spheres of our economy. Design has led to a straight forward view (Small Visual Representation) from a wholesale view. And that in a way marked the birth of a logo in the running of economic, social or political activities. A logo is a graphical representation of establishment. For an establishment to possess a logo, a customized logo must be designed as per the information provided to the designer. A custom logo design sits pretty at the top of the most powerful marketing tools known, the world over. A logo is every now and then referred to as the face of the company. This is for the reason that it represents the single most visible manifestation of an establishment within a given market-ideally representing what the company does. Logos have been observed as what connects with our minds faster (Instant Recognition), perchance, like when compared to the name of the company. Not only that, but with that single element-a logo, a company is able to be wholly recognized in advertising and marketing materials such as in paper ads, billboards and even all the more so in commercials. Even Accompanied advertising products; pen and stickers can be printed with a logo that farther boosts on the market spread. This is conceivable with the logo prints, without having to describe in detail that the company deals in. How cool is that? In summary, we will take a look at the real worth of a logo. Is it real worth the fuss? Complying with expectations. This is especially in the creative industry, where having a logo seems to be mandatory. To stand out. With a logo, a company is able to stand higher in the competition log. To serve Memory. Customers are better in remembering what has been seen than what was read or heard. This is typical of humans. Some sense of stability. This is more important in building trust between the company and clients over a period of time. Some brand logos have been observed to weather the test of time. Just for branding purposes. For general informative purpose, we will further explore on the principles of logo design to help currently faltering of potential companies in this sense to mitigate or correct; the backlash or potential and its after effects on the success of a company. Appropriate-Example. Is it for the face of a children’s toy company or a law firm? Memorable-achieved by keeping a logo simple, yet appropriate. Versatile-should be able to work across an array of media and applications. A logo can be due to an incorporation of shapes, colors, type (fonts) and lines. In some occurrences, just a single element of; colors and type, shapes and lines can represent the company’s brand. This is best exhibited by Coca-Cola logo, in color red. A custom logo design can be as simple as just a text or a symbol. There are design firms that can be contracted for a professional custom logo design, either through the internet or through other channels. The logos have to be custom-made to relate with the company; set them apart from other surviving companies. A logo design is like a finger print for the company’s operations. The total expense for doing logos varies across the board, influenced by other factors such as the experience of the contracted designer among others. It has been bought to the fore that for a company to be successful, you don’t have to pay huge chunks of money for a customized logo. A case is made for Twitter and Nike that paid only $15 and $35 respectively for their iconic custom logo designs. It’s judicious that much spending, if any, should be on time and energy on the perfect logo that well exemplifies your company. 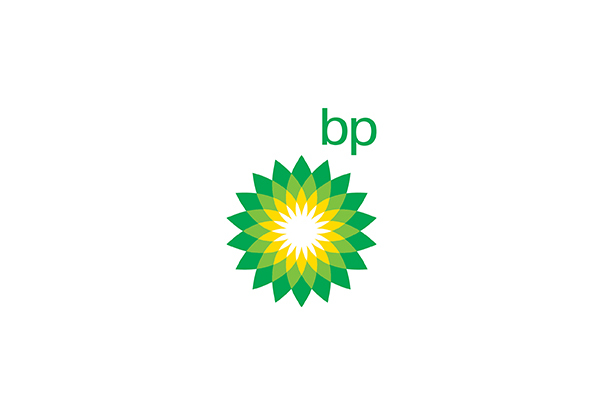 In other case in point, there are companies like BP (a UK oil group) that spent close to 136 million euros in their current sunflower logo design back in 2000. Some of the most iconic brand logos of all time was presented by complex website (March 7, 2013) that included; Nike, Coca-Cola, Samsung, Ford, Apple, Pepsi and Google. From that list, one is able to clearly comprehend on the importance of logo and how large or successful companies to date have been able to handle this area very well. It is important to note that in the rush for logos, a company should not just rush for any logo. Bad designed logos tend to push away customers as they struggle to link the customized logo with the company. Such a company consequently remains faceless to customers/consumers in such situation. Lastly, societal concerns today will therefore influence improvements on the current logos. This may further be pushed by the rapid shifts in technology, as no consumer or company wants to be left behind. Many established companies might opt to polish their logos or entirely re-brand them to guarantee a constant success. I am a Logo Designer... Seriously, that's it! But, me being a Logo Designer means, 5+ Years of experience, 500+ completed projects and 92% Customer Satisfaction Rate. In short, best at what I do... Designing Logos while keeping "Versatility" "Simplicity" "Agelessness" in mind.